81 cards. Parallel cards inserted 1:3 packs. 12 cards. Inserted 1:24 packs. 10 cards. Inserted 1:12 packs. CH10 is exclusive to the Rittenhouse Rewards program. 18 cards. Inserted 1:8 packs. Tackling the comics era that ran from 1970 to 1985, 2012 Rittenhouse Marvel Bronze Age looks back on some of the key modern events in the Marvel Universe. 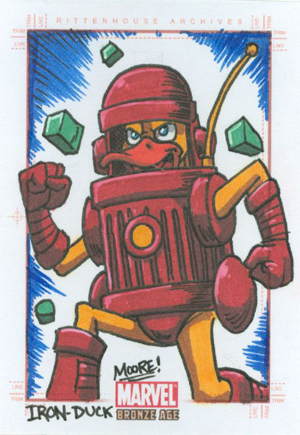 Boasting one color sketch card per box, the released is broad in scope yet focused on a particular period. 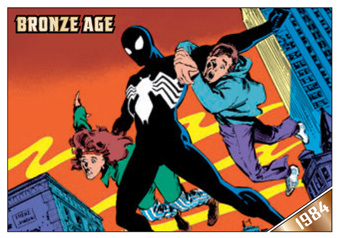 2012 Rittenhouse Marvel Bronze Age has an 81-card base set that centers on major happenings and classic debuts. Among the characters to make their first appearances during this time were Wolverine, the Punisher, Ghost Rider, Elektra and Luke Cage. 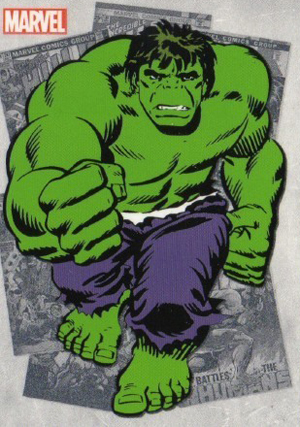 Keeping with the formula that has worked in the past, 2012 Rittenhouse Marvel Bronze Age is highlighted by at least one ful-color sketch card in every pack. High-profile sketch artists included in the set are Melike Acar, Axebone, Tony Perna, Meghan Hetrick, Mike Lilly, Anthony Tan, Andy Price, Veronica O'Connell, JC Fabul, Newton Barbosa, Cezar Razek, Charles Hall, and Matias Streb. Random hot boxes come with full sketch card puzzles. 2012 Rittenhouse Marvel Bronze Age has random "Mini Archive Boxes" that come with all of the release's pack-inserted cards, a complete foil parallel set and five sketch cards. Every case of 2012 Rittenhouse Marvel Bronze Age has a two-card Retro Marvel Logo set. A painted Jim Kyle sketch card is the six-case incentive. Those ordering nine cases get a painted sketch card from either Matt or Mick Glebe. 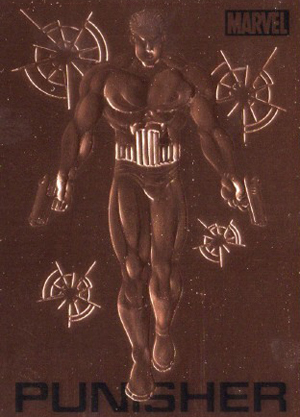 A 2012 Rittenhouse Marvel Bronze Age Archive Box is the 18-case incentive. Archive Boxes have 30 random sketch cards. 2012 Rittenhouse Marvel Bronze Age also has a custom binder. Sold separately, it comes with an exclusive promo card. Was wondering if we know what heroes were picked for the sketch cards? Glen Franklin � I haven’t heard of any official list of characters or limitations put on the artists. Rittenhouse would probably be the best place to check.